Objective: To offer a gift to Debra's audiences at her speaking engagements that would be meaningful and memorable. Challenge: The gift had to be as authentic as Debra. And with the potential audience being in the thousands, it had to be something affordable. Solution: Having been personally moved as audience members during many of Debra’s talks, it was clear that the biggest gift would be the messages that she leaves you with. We wanted to develop a piece that reminded people of the provoking themes offered in Debra’s presentations and that would be used and referred to long after the presentation was over. An added bonus would be if they could share it with other people and it would prompt more discussion. We designed dozens of unique, colorful cards, each one with a separate message. The cards were connected with a steel rivet to keep them organized, but also made it easy to fan out for browsing. The “packet” of cards together is the size of a credit card, making it easy to carry in your purse or wallet. 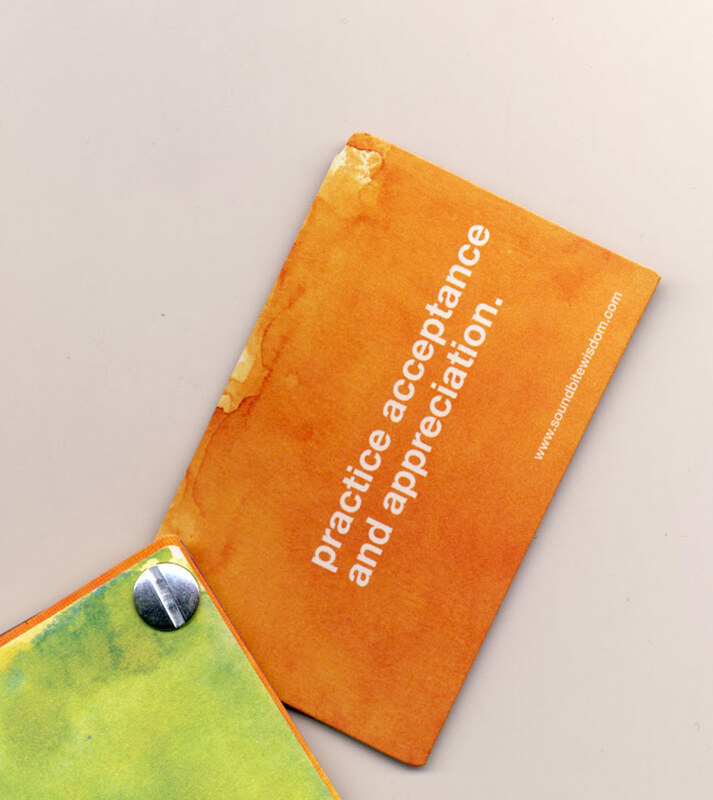 Results: Recipients have continually remarked how much these cards are treasured. Many people have reached out to Debra to request them. They are not only used for speaking engagements, but also at networking events, company meetings — and sometimes just at serendipitous lunches. These cards also won a Gold ADDY Award. 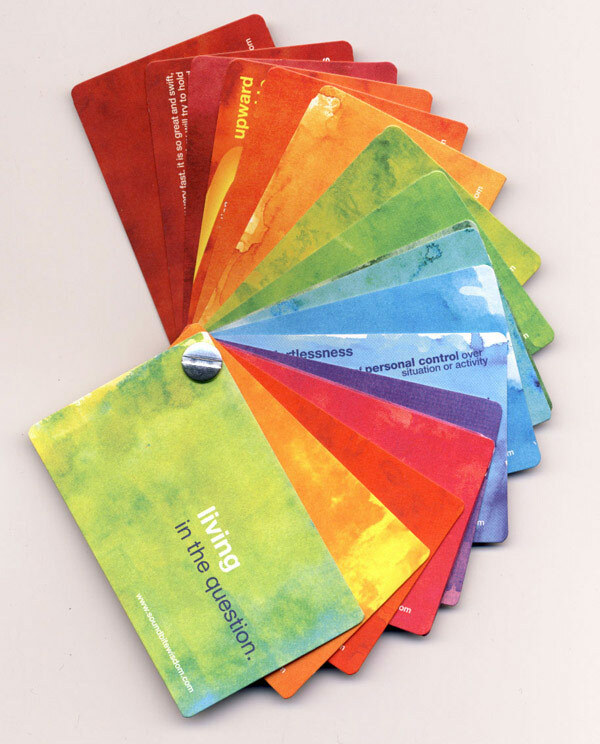 Debra Neill Baker's "Thinking Cards"